This weekend California finally got the cold weather that everyone else was experiencing. Last week we had highs in the upper 80’s but this weekend it was more like 50-60 degrees. Which is cold for us California wimps. After spending most of Saturday and Sunday on soccer fields wrapped in a blanket, I needed something to warm up my bones. 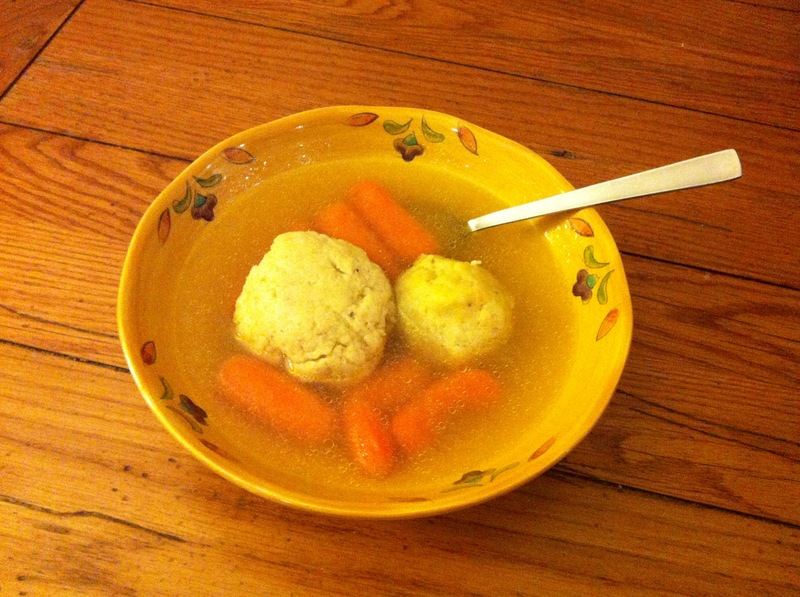 I made Matzo Ball soup (I just use a package) and for dessert pumpkin muffins and tea. It was yummy, easy and hit the spot just right. I guess it is time to drag out the crock pot. I love it when the whole house smells like yummy food all day! 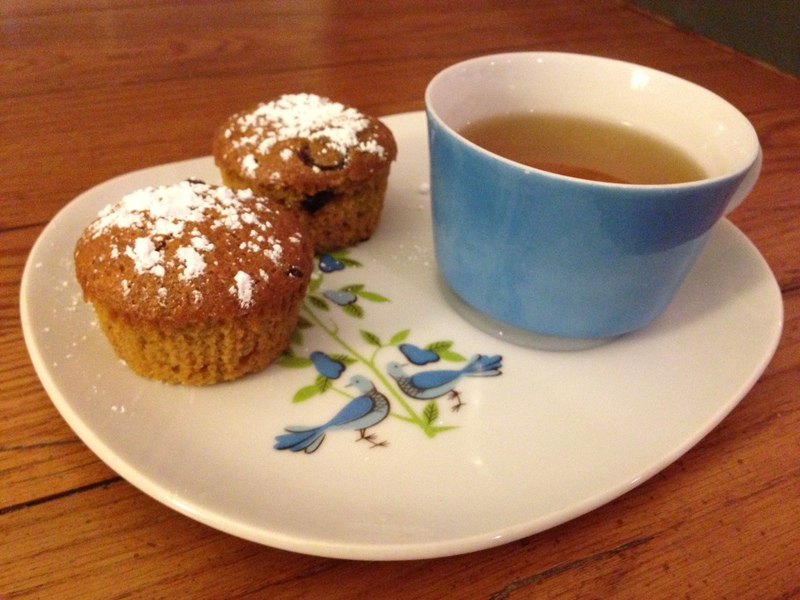 The pumpkin muffins make a large batch and are perfect for breakfast or a mid-morning snack. My kids take them to school to eat before after school soccer practice. You can also add in nuts or pumpkin seeds for a nice crunch. My next version I will try gluten free. I use Jules Gluten Free Flour (the best gluten free flour I’ve ever used!) and it usually works just like regular flour. Got any great recipes to pass on? Mix dry ingredients first and then add wet and mix. You can use cupcake liners or grease and flour a muffin tin. Fill 3/4 full and bake for 20-30 minutes depending on your oven. Makes approx. 30 muffins.